Scott Davis is a principal researcher at AIR. Dr. Davis is a labor economist with 13 years of experience designing and implementing research and evaluation projects for a variety of clients, including the U.S. Department of Labor (DOL) and DOL grantees. 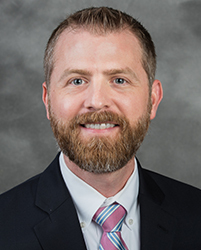 He has served in project director or deputy project director roles for the past 10 years, including for four evaluations of DOL-funded grant programs and for three DOL studies conducted while he was at Impaq International. Dr. Davis is an expert in quantitative methods, with experience conducting sophisticated statistical analyses—including the application of both experimental and quasi-experimental methods—and applied research in a variety of contexts. Further, he has experience gathering, cleaning, and analyzing data from large administrative data sets, including state-level Unemployment Insurance (UI) wage records; state administrative records on participants in federally-funded workforce programs; administrative data from federal agencies; and various data sets, including from both publicly available and restricted-access sources. In addition to these skills, Dr. Davis has practical subject matter expertise on major workforce development and worker protection programs. Through his work on four evaluations of DOL-funded grant projects, he worked with workforce investment stakeholders including a consortium of all 16 workforce investment boards in Wisconsin, a single workforce investment board in Pennsylvania, the state workforce agency of Minnesota, and a group of three community colleges in Pennsylvania. For these projects, Dr. Davis worked with each organization to seamlessly integrate a rigorous evaluation into their grant program operations. At the federal level, he has experience using administrative data from two DOL agencies—the Occupational Safety and Health Administration (OSHA) and the Wage and Hour Division (WHD)—for applied research projects. Some of Dr. Davis’ recent work has focused on state efforts to create and maintain consumer report cards for education and training programs. As part of the Comparing State and National Approaches to Education and Training Program Scorecards for DOL, Dr. Davis worked with three states to gather administrative data on participants in training programs funded by the Workforce Investment Act and their earnings from state UI wage record data, merge the data to earnings data from the National Directory of New Hires, and compare common labor market outcomes between the two sources of earnings data.